(Francisco Kjolseth | The Salt Lake Tribune) Utah Jazz forward-center Derrick Favors speaks with the media during exit interviews at their practice facility in Salt Lake City Wed., May 8, 2018, after losing to the Houston Rockets in game 5 of their Western Conference Finals during the 2018 NBA Playoffs. Derrick Favors took time from a busy offseason in Atlanta and New York to visit coaches and teammates at the Jazz practice facility over the weekend, reminding himself how much he’s come to appreciate being Utah’s longest tenured player. Favors will be the most visible internal free agent for the Jazz this summer. And he knows his freedom on the unrestricted market can go a number of different ways once July 1 rolls around. Publicly and privately, he and the Jazz have made peace with one another. The Jazz want him back in the fold next season as he enters his prime years. And Favors wants to be back with the Jazz. In many ways, Favors and the Jazz resemble a solid marriage: Neither side will get everything they want. At the same time, both sides have come to appreciate what they get out of the relationship. On a Jazz team that may be one of the best in the Western Conference next season, Favors will never regularly play 35 minutes per game. He won’t finish as many games as he’d like, and he won’t find as many touches in the post he may receive on another team. But, he’ll always be valued by the front office. He’ll be a part of a winning team and one of the team’s most respected figures in the locker room. • Derrick Favors is one of three major Jazz free agents, with Raul Neto and Dante Exum, who will both be restricted free agents. • Favors is entering his eighth season. He is Utah’s longest tenured player. From Utah’s perspective, Favors will never be the steady, knockdown 3-point shooter Quin Snyder craves from the power forward slot — though he is getting better in that area. And at times, the spacing can be clunky when Favors and Rudy Gobert share the floor. But the Jazz defense is elite because they can keep a rim protector on the floor for 48 minutes. And as a playoff series win over Oklahoma City can attest, Favors can guard many of the stretch power forwards in the league, like he did with Oklahoma City’s Carmelo Anthony. A year ago, the relationship between the sides didn’t seem as rosy. But it’s a relationship that’s improved over time, “especially over the past six months,” Favors said. Favors and Snyder, in particular, have become closer. The two men have spoken multiple times since the season ended, but rarely about basketball. It’s endeared Snyder to Favors because Favors has walked away from each conversation feeling like his coach cares about him, the person. Does all of this mean there’s a better chance for Favors to return? Yes. Does it make a Favors return a slam dunk? Not quite. Favors wants to test his worth on the market, see what opportunity is out there, and see what money is available. In what is shaping up to be a tight market for big men, Favors’ best play might be to sign a one-year deal with the Jazz and test the market again in 2019. 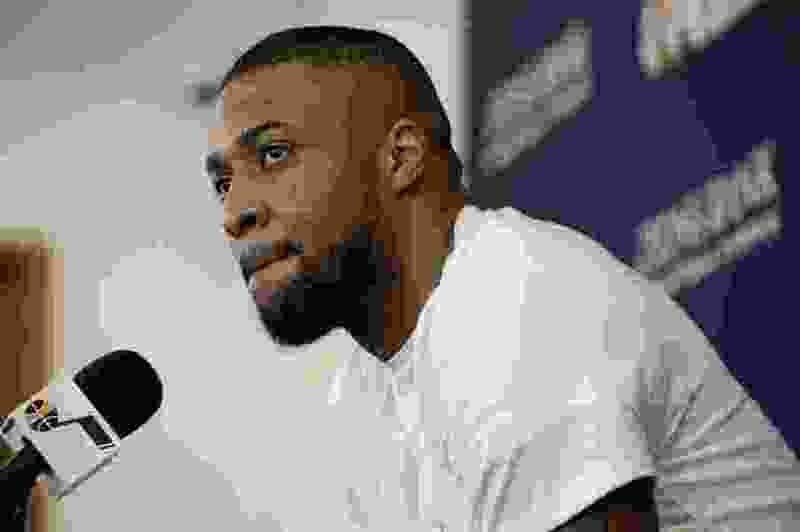 Favors knows his fate on the market could be tied to Los Angeles Clippers’ big man DeAndre Jordan, who may opt out of the final season of his deal and become a free agent. Teams needing a big man will likely turn to Jordan first before speaking with Favors. Multiple teams figure have interest in him, but that interest may not be clear on July 1. So, Favors’ dip into unrestricted free agency could be a mixed bag. In the meantime, Favors is getting back to work. He says improving his ability to make corner 3-pointers is a goal. He also attended a job shadow seminar recently in New York, looking toward life after basketball and possibly trying his hand in real estate. And he’s enjoying the little things. For the first time in recent years, his body won’t have to heal from an injury. He recently took his family on an extended vacation.